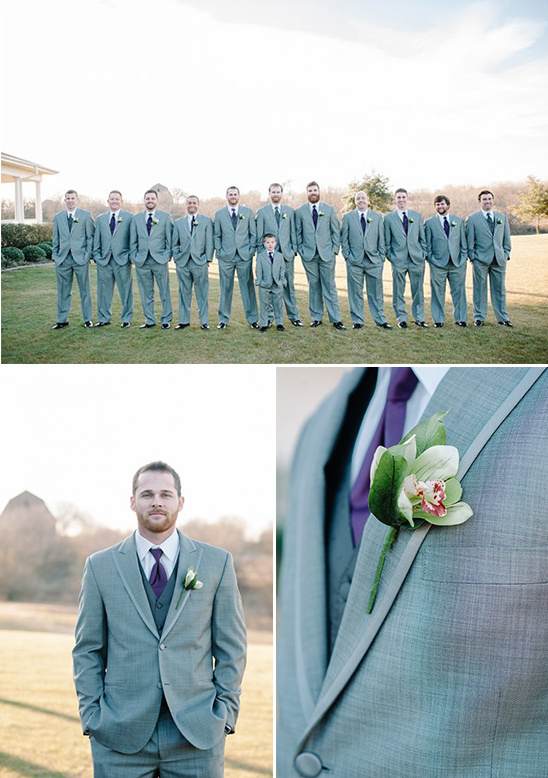 Jordan and Craig said "I do" on a crisp clear day in Texas. 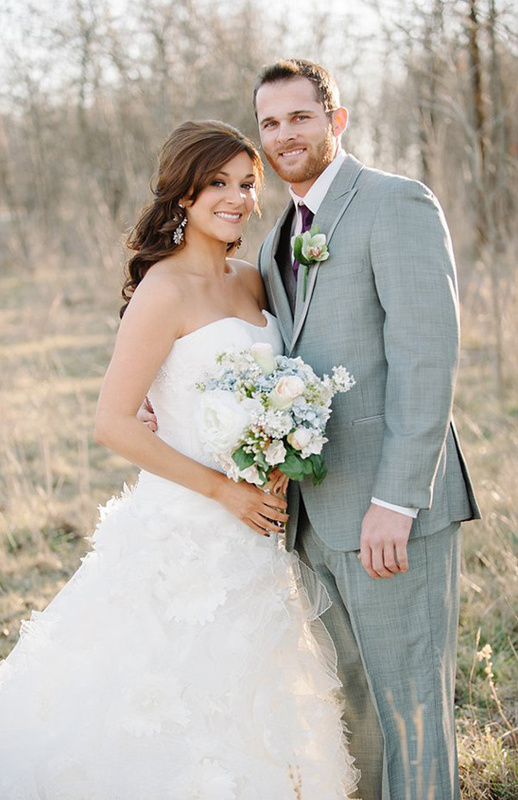 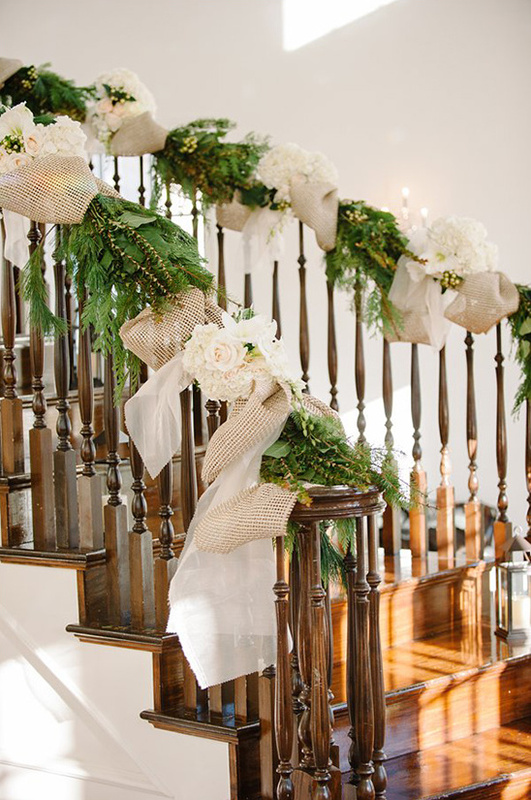 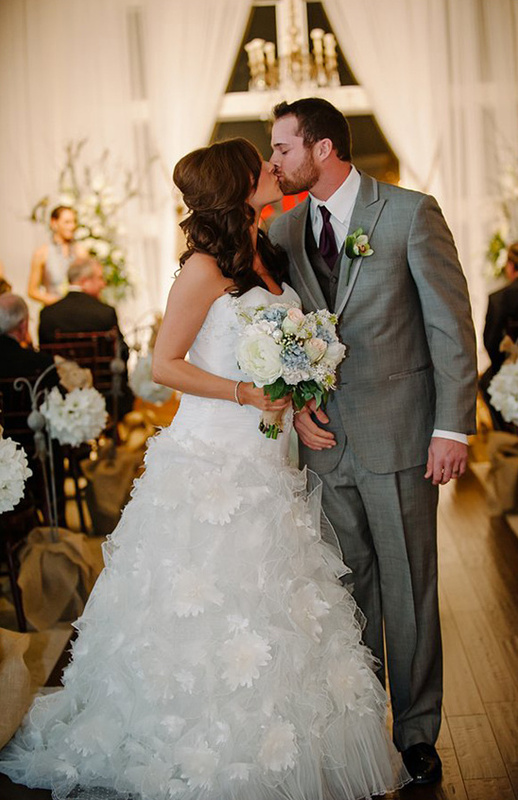 Their wedding was a beautiful combination of southern elegance and shabby chic charm. 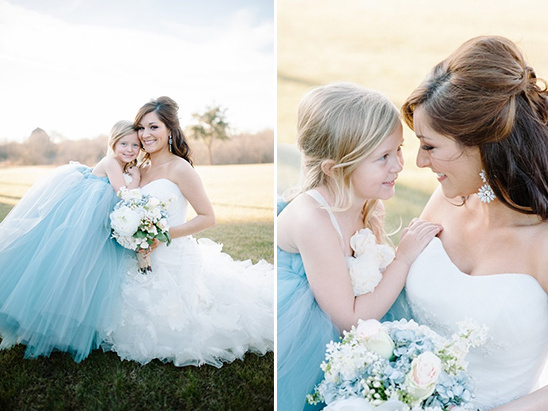 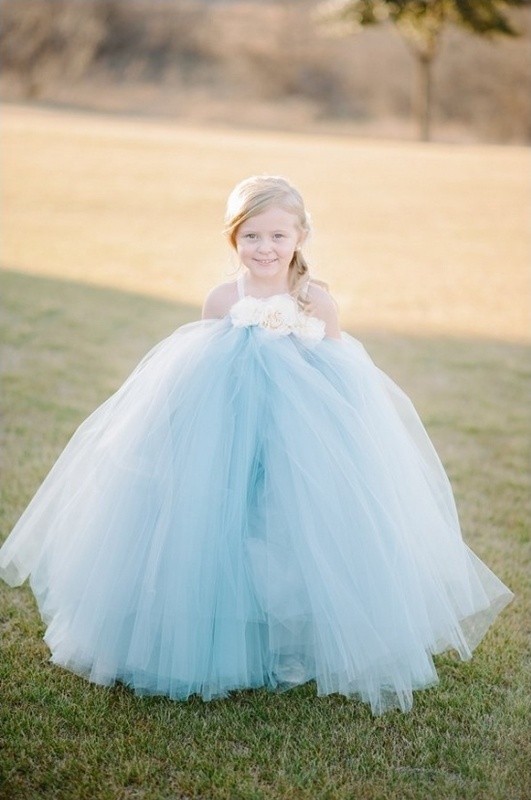 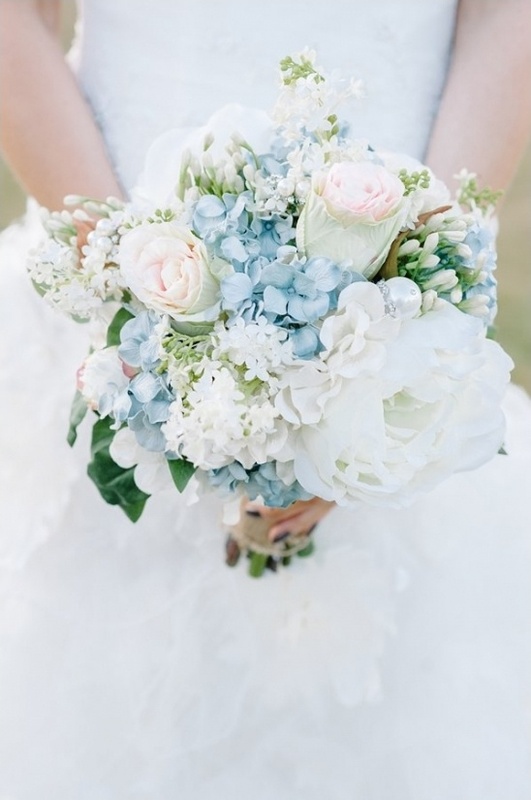 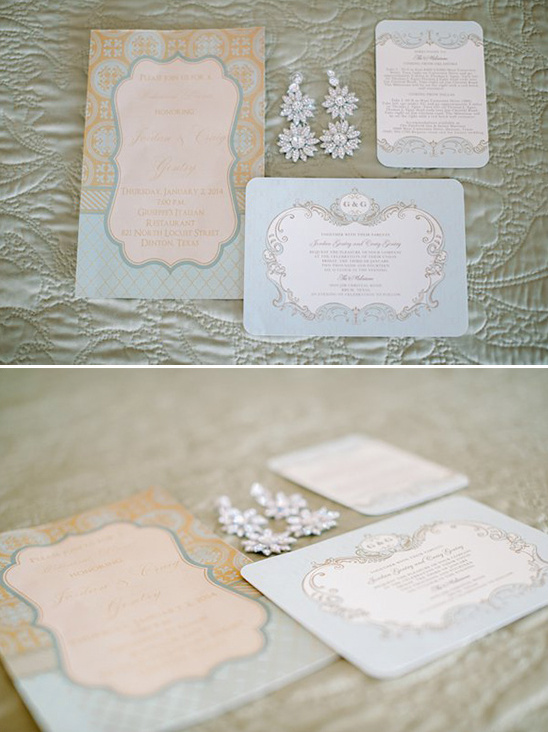 A soft blue and ivory color palette created a gentle and graceful feel for the day. 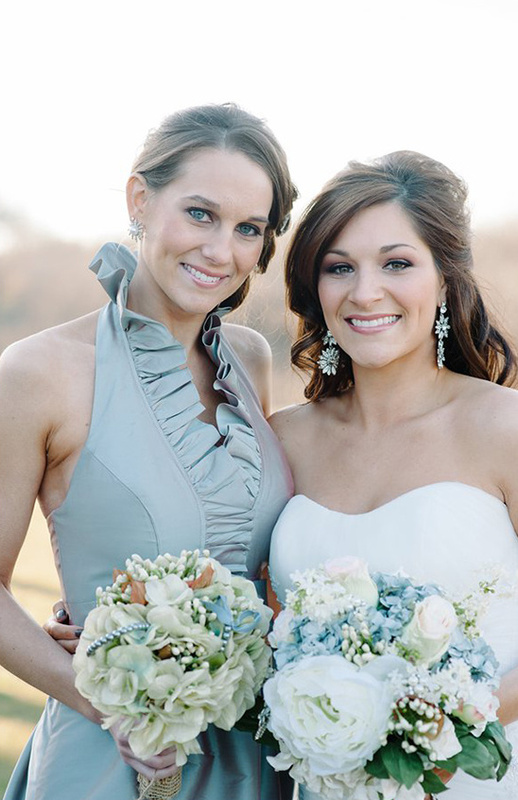 Gorgeous DIY floral pieces from the family ensured that the day was brimming with beauty and love. 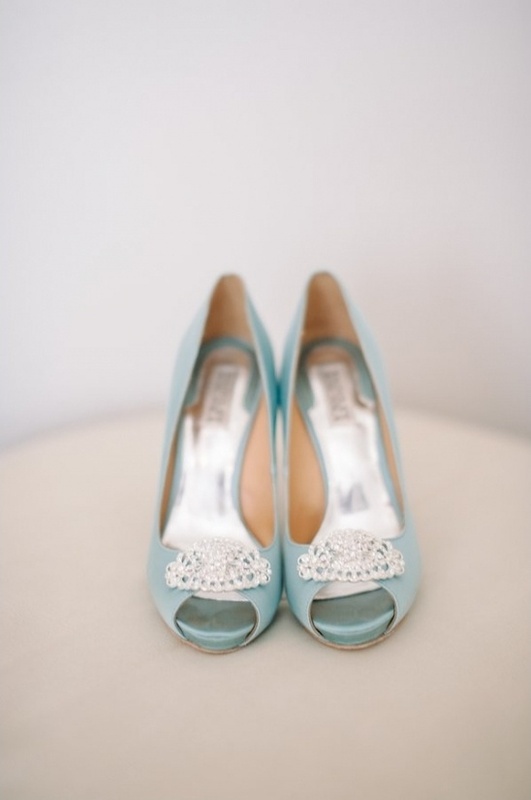 See even more of the lovely details from this blue and ivory shabby chic wedding in the full gallery here, perfectly captured by Tracy Enoch Photography. 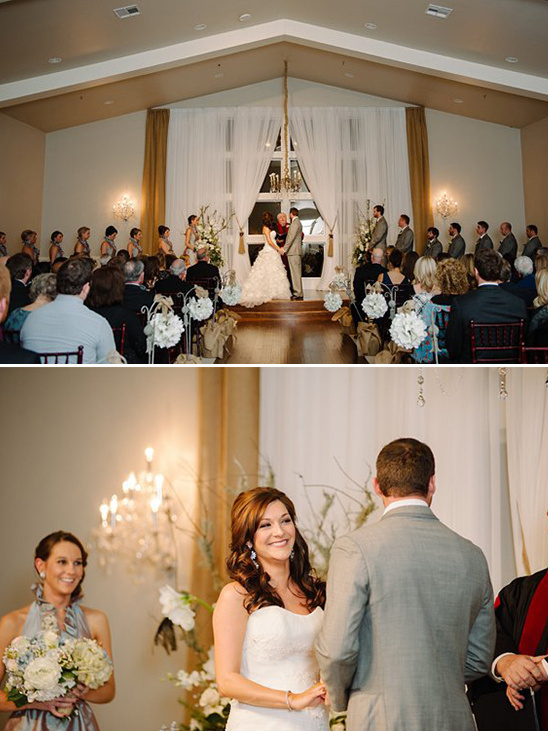 From the Vendors:Craig is a former baseball player for the Texas Rangers who recently got traded to the Oakland A's, so it was awesome that they were able to have their wedding in Texas (Jordan's home state) with all their family and friends before moving off to California. 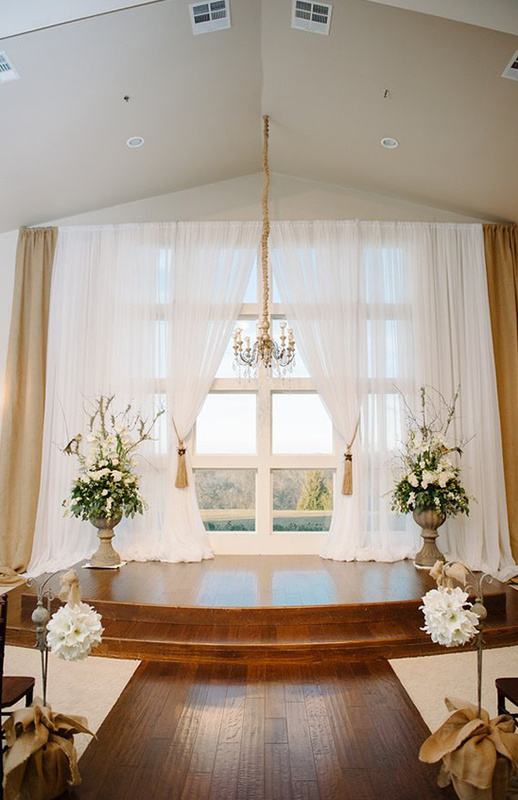 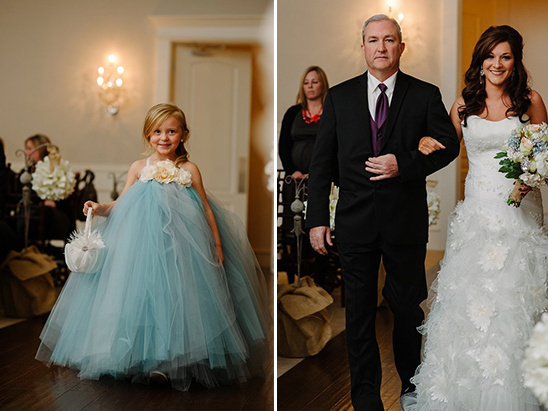 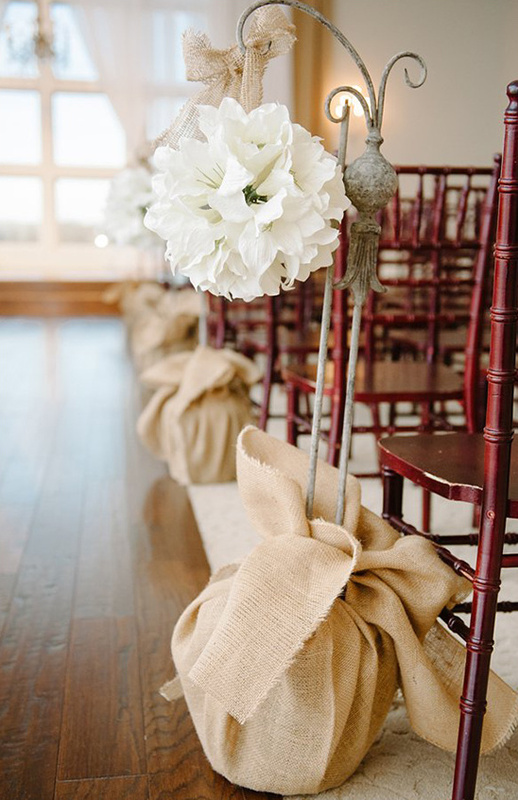 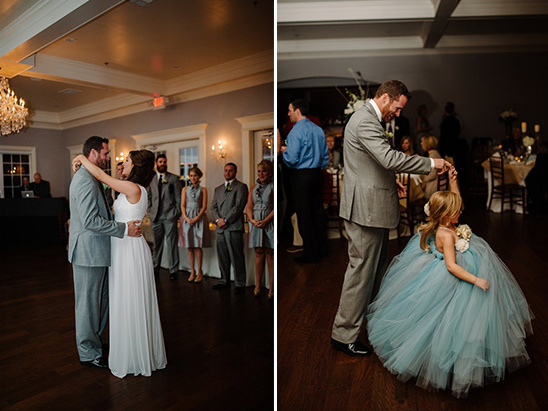 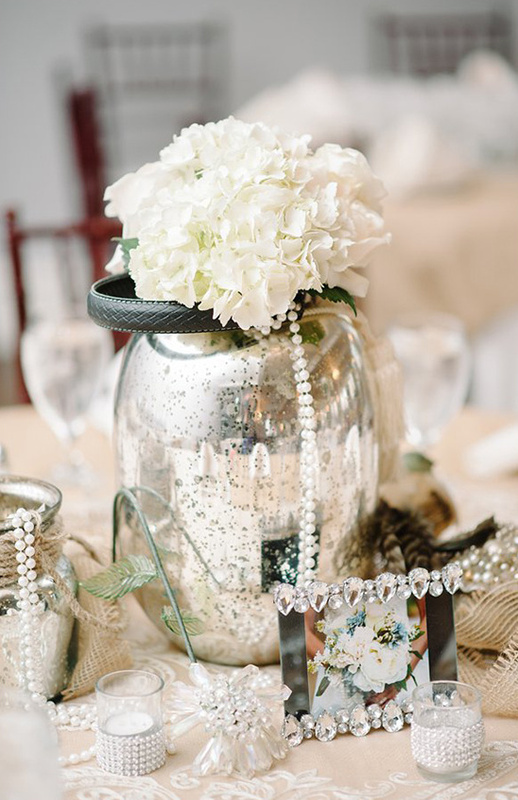 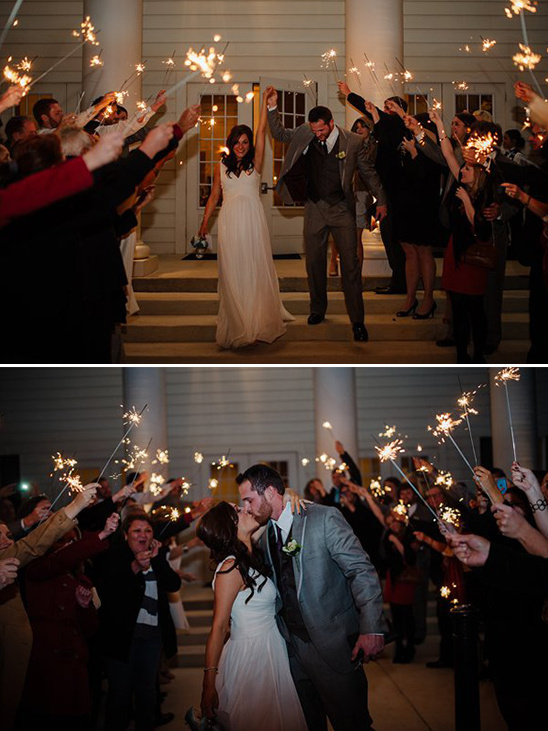 This was such a beautiful wedding that included soft romantic details with a definite traditional, southern flair. 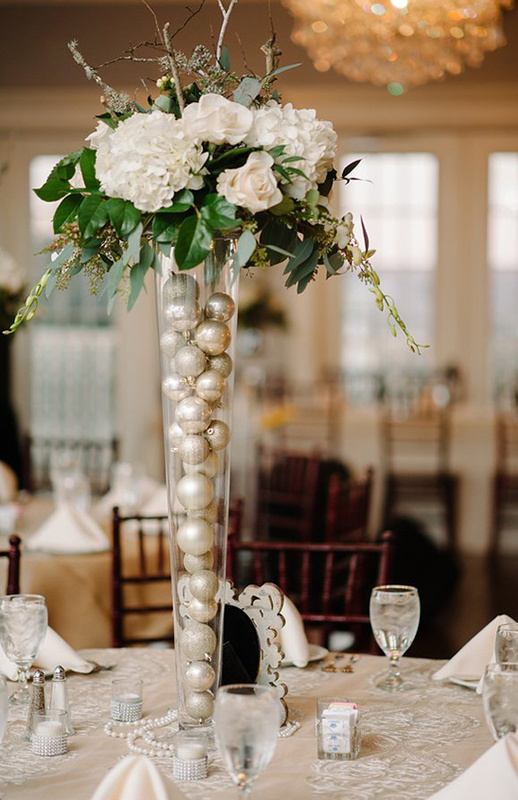 To me what made this wedding so special was the fact that Jordan's mom, who is an interior designer, along with her friends, handmade all of the floral elements for the day. 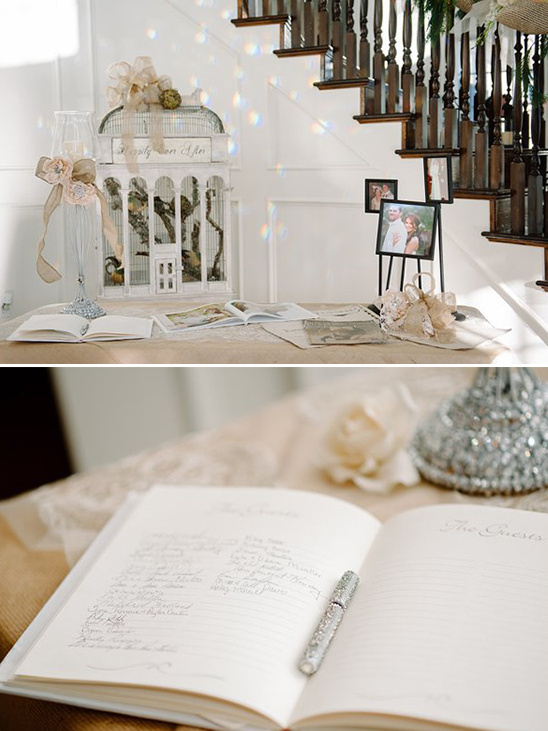 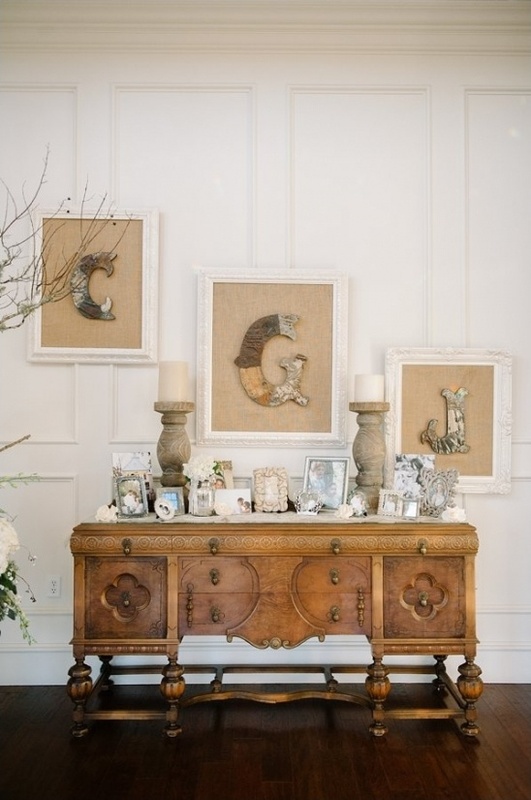 From the Bride:My inspiration for the wedding I would describe as "Love Nest". 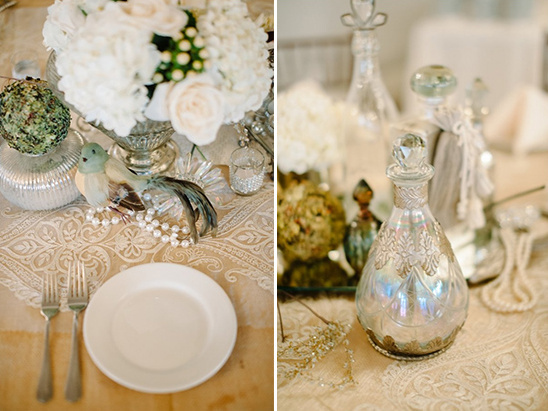 I really wanted everything to have a very natural, soft, and romantic feel. 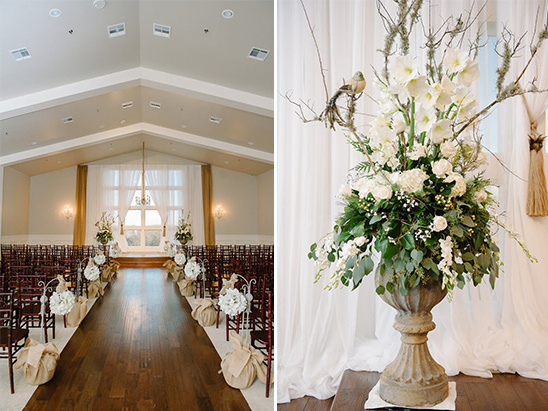 I envisioned bird cages, tree limbs, and flowers and I would almost describe the look as a romantic shabby chic in the cold of winter! 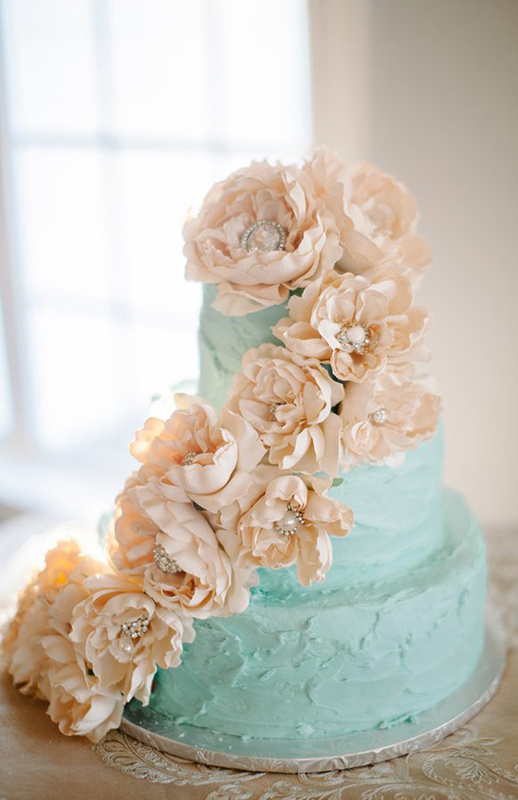 We are all over this blue butter cream cake designed by Candy Haven And Cakes.